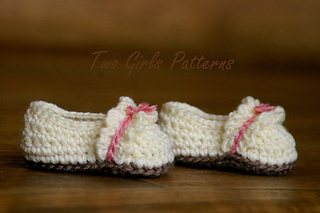 These little slippers are really fun to make and work up fast. 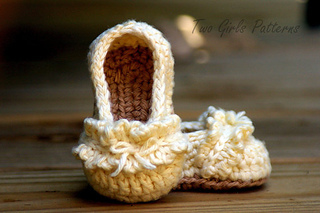 They are made with worsted weight yarn and sport weight for the ruffles. 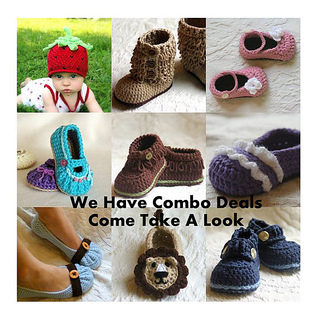 This pattern includes sizes 0-6 months and 6-12 months. The pattern is written in STANDARD AMERICAN TERMS. 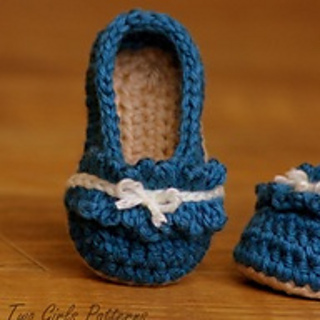 I include many pictures in my patterns to make them as easy as possible to make. 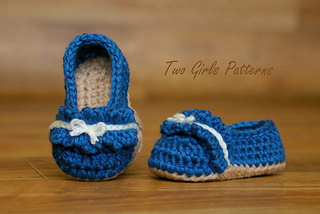 If you have any questions about the pattern please feel free to contact me.